Nigeria marked World Cancer Day 2016, recording a significant increase in the number of deaths from common cancers during the last few years. As per data of the World Health Organisation, between 2008 and 2012, daily number of deaths increased from (i) 30 to 40 in women due to breast cancer; (ii) 24 to 26 in men due to prostate cancer; and (iii) 24 to 32 due to liver cancer. This significant increase is, to some extent, connected to the lack of quality cancer treatment facilities available in the country. Two large clinical trials - The Ring Study and ASPIRE - conducted in four African countries have shown that a monthly vaginal ring containing the antiretroviral drug (ARV) dapivirine can safely help prevent HIV infection in women. In tele-media brief to select African journalists prior to last night’s official release of the findings at the annual Conference on Retroviruses and Opportunistic Infections in Boston-Massachusetts, lead scientists said the dapivirine ring safely reduced HIV infection overall by 30 percent compared to those who used a placebo (dummy) ring among the 4588 volunteers who participated. [हिन्दी] Sunday, 21st February 2016 marked the concluding day of 70th National Conference of TB and Respiratory Diseases (70th NATCON). 70th NATCON is being organized by TB Association of India, Respiratory Medicine Department of King George’s Medical University (KGMU) and UP TB Association in Lucknow (20-21 February 2016). [हिन्दी] Government of India along with other governments had committed in UN General Assembly to achieve Sustainable Development Goals (SDGs) by 2030, one of which (SDG 3.3) is to end TB by 2030. Chest physicians from across the country and globally who are attending 70th National Conference of TB and Chest Diseases (70th NATCON) which was inaugurated by UP State Governor Shri Ram Naik, called upon ensuring that the decline in TB rates are steep enough to achieve the end TB target by or before 2030. [Webinar recording] We welcome you to register for an exclusive media webinar in lead up to this year's International Women's Day. If governments want to deliver on the promises they have made in September 2015 (of achieving Sustainable Development Goals - SDGs - by 2030) they cannot leave anyone behind. [हिंदी] [Webinar] The number of cancer cases, as well as cancer deaths in India, rose by almost 10% between 2011 and 2014, as per the state-wise cancer data of Indian Council of Medical Research (ICMR). 44% of all people who got cancer in India succumbed to it in 2014. [CNS photos] [हिंदी] The government of India has committed with other governments in September 2015 to achieve Sustainable Development Goals (SDGs) by 2030, one of which is SDG 3.4, which aims to "reduce by one third premature mortality from non-communicable diseases (NCDs) through prevention and treatment..." by 2030. But if we look at the data, major NCDs are rising in UP, not declining. "UP needs to get back on track to achieve the SDGs by 2030 or earlier" said Shobha Shukla, Executive Director of CNS. [हिन्दी] Over a hundred TB and chest physicians benefited from four scientific workshops held today in KGMU before the 70th National Conference of TB and Chest Diseases (NATCON) opens tomorrow in Lucknow. These 4 workshops were on TB (modern diagnostics, RNTCP, drug-resistant TB), non-invasive ventilation, sleep study (polysomnography) and pulmonary function tests (PFT). 70th National Conference of TB and Chest Diseases (NATCON) is being organized by Tuberculosis (TB) Association of India, UP TB Association and Department of Respiratory Medicine, King George’s Medical University (KGMU) in Lucknow during 20-21 February 2016 with day-long pre-conference scientific workshops on 19th February 2016. NATCON has returned to Lucknow after a decade –60th NATCON was hosted in KGMU in 2006. World Cancer Day: We can stop cancer! Cancer, like many other non communicable diseases (NCDs), is preventable, and yet it is sadly one of the leading causes of death worldwide. It claims 8.2 million lives globally and among its various types, lung cancer is considered to be the most fatal with 1.59 million people fall prey to it every year. 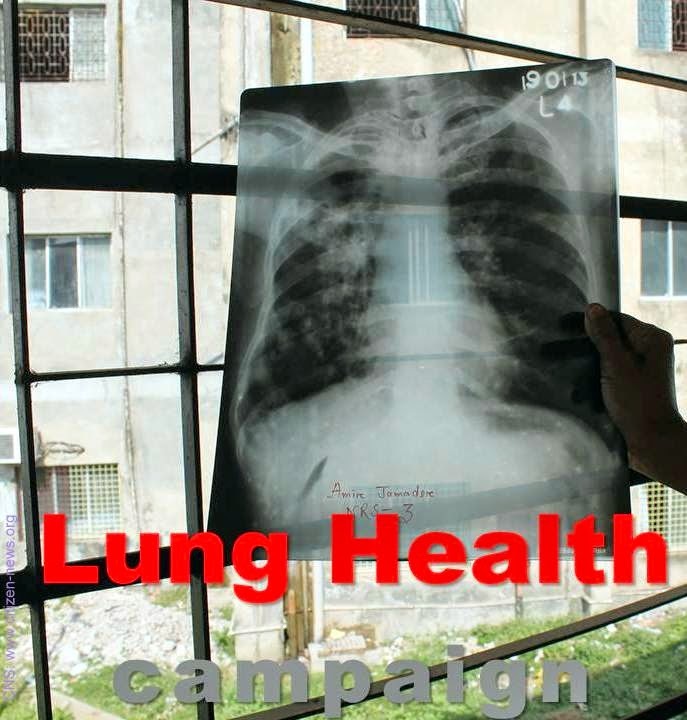 In India, 70, 275 cases of lung cancer are reported every year. 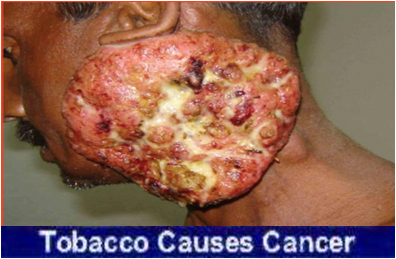 Tobacco use, alcohol use, physical inactivity are said to be the major risk factors of this deadly disease. The 2016 World Cancer Day comes at a time when the number of those who have been diagnosed with the disease has increased sharply. Cancer diagnosis has induced fear in many communities with several people seeing it as a death sentence, as the majority of those in developing countries can ill afford its treatment. Every year, the 4th of February marks the World Cancer Day and the day aims to raise awareness and promote reflection about what we can do collectively and individually to reduce the global burden of this dreaded disease. Human beings were created in a superior way from any other creations in so much as that they can reason and have power over their actions. However, some of their actions do not exhibit that element to reason, which leaves the human beings to suffer some of the tragic, yet avoidable consequences. Cancer is a non communicable disease and World Cancer Day is observed on February 4 and Zimbabwe joins the rest of the world to commemorate the day. The theme for the next three years is: “I can, we can”. Can we win the battle against cancer? Today (4th February) is World Cancer Day. It is an opportunity to unite the world’s population in the fight against cancer by raising awareness and education about the disease; and pressing governments and individuals across the world to take action to save millions of preventable deaths each year. Currently 8.2 million people die from cancer worldwide every year out of which 4 million die prematurely (30-69 years). World Cancer Day 2016: Are we beginning to forget? World Cancer Day will take place on February 4th 2016 and the commemoration is aimed at raising awareness and promoting reflection about what we can do collectively and individually to "reduce the global burden of cancer”. This comes at a time when many other loud world concerns have begun to take centre stage— the barbaric gun control debate, eyeing the teenage population as potential criminals and terrorists, and the daring climate changes leading strongly to economic downfall and rising costs of living. Sustainable Development Goals 2030: A challenge or an opportunity? Sexual and Reproductive Health and Rights underpin every aspect of sustainable development and economic growth and cut across the three dimensions of economic, social and environmental development. Member countries to the UN adopted the Global goals for sustainable development in September, 2015. These goals aim to play a crucial role for the upliftment of the underserved populations. [Focus] Young people have the power to be the change!